Well, it may not have been a 12 hour buskathon, but it was certainly a challenge! We then went on to St Nicholas Infant School. This school is particularly close to my heart because it was where my Mum taught. It was an amazing feeling to be able to go back there and play for the children. They were so sweet and really enthusiastic. 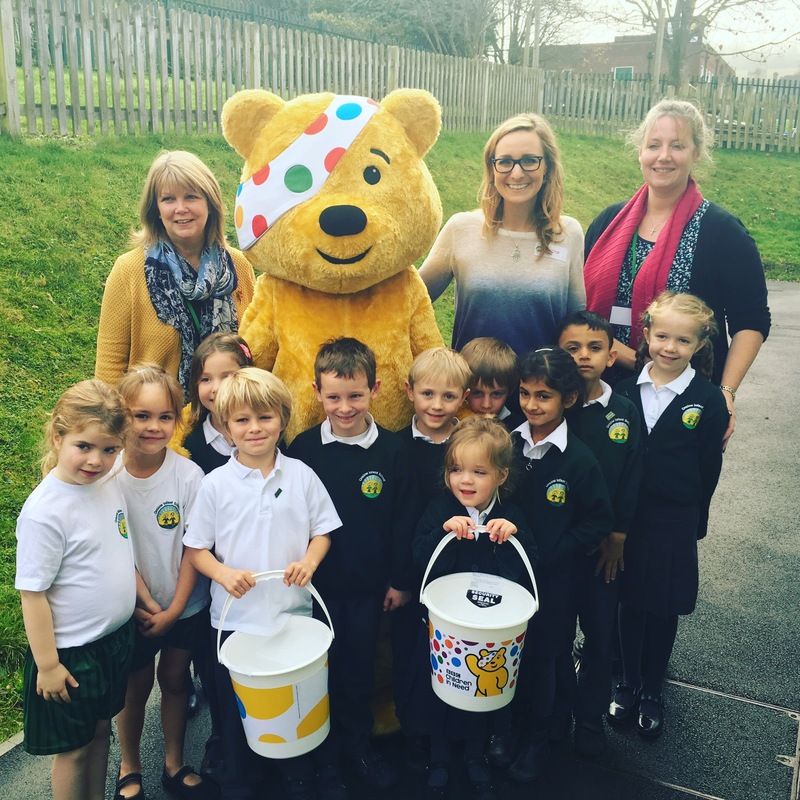 I was overwhelmed by the amount of generous donations that they all made to Children in Need. I decided that as the crew had all been up since the early hours we’d make a quick stop off for a cup of tea. 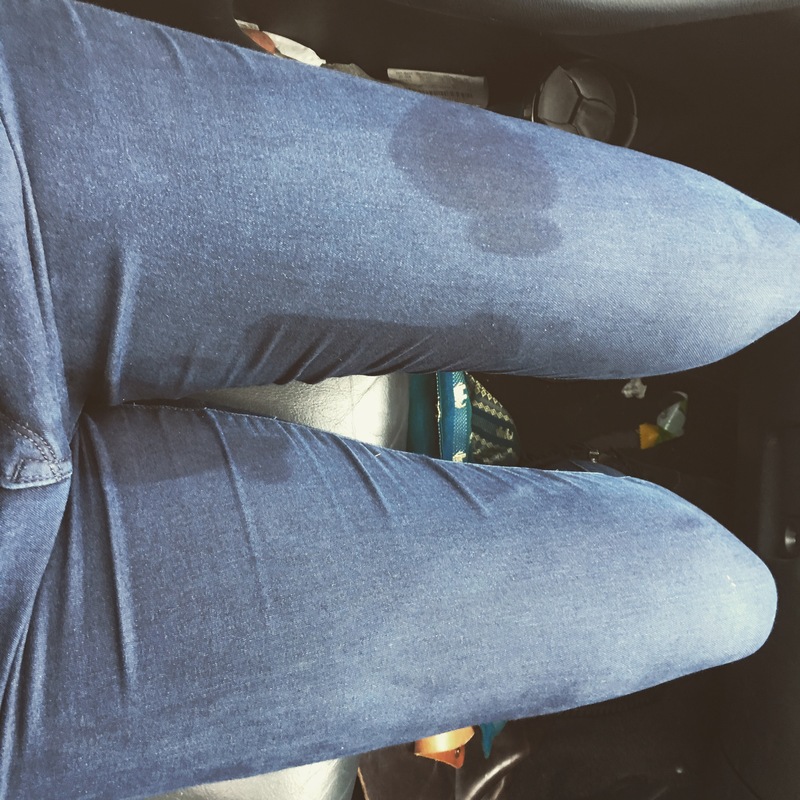 Sadly I ended up spilling mine all over me, so I had to nip out and buy a new pair of trousers!! Total FAIL! 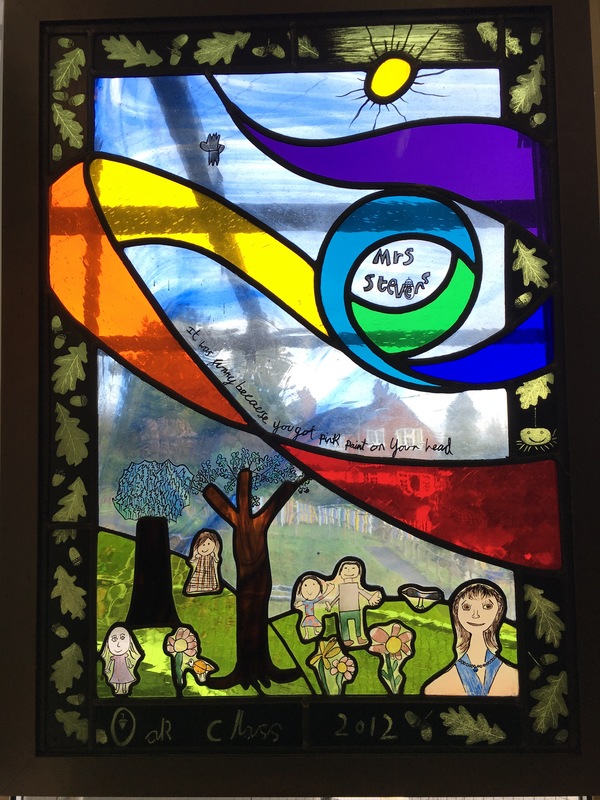 Next on the list was Wood Street Infant School, Merrow Infant School and Clandon Infant School. The kids were so sweet and generous in spirit. 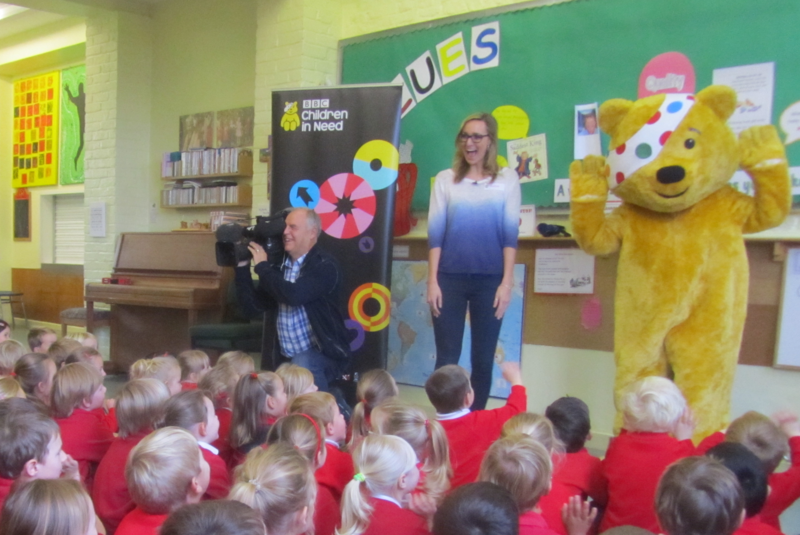 It was a totally blessing to play for them and see their faces each time Pudsey walked in. We finished the School Sprint with Moss Lane Infant School. 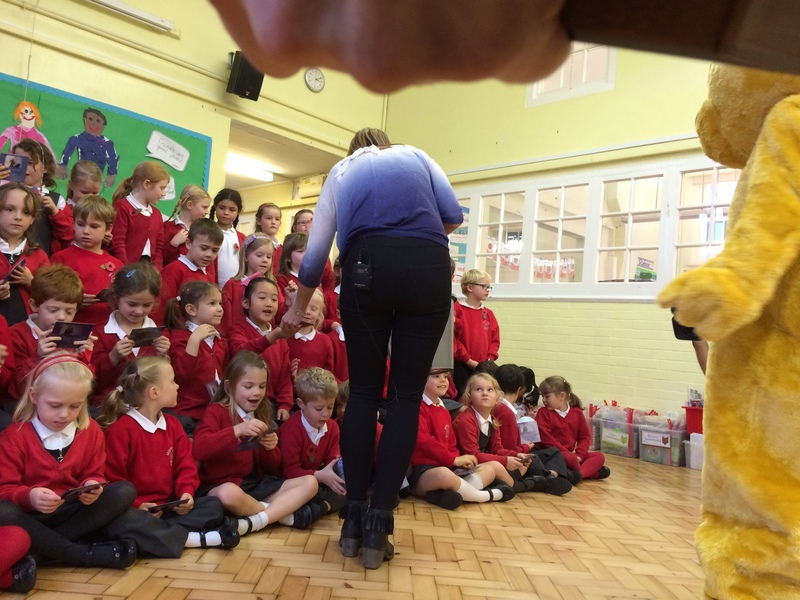 I was blown away – this year two class had learnt my song! I couldn’t believe it! It was wonderful to play “Give a Little Bit” and here them singing the chorus along with hand movements, too! I handed out an EP to each of them at the end as a special thank you for all learning my song and singing so well. The cameraman Paul was amazing and got some incredible shots. Sam Rommer played cajon and did ALL the setting up – a dream man to have by my side! 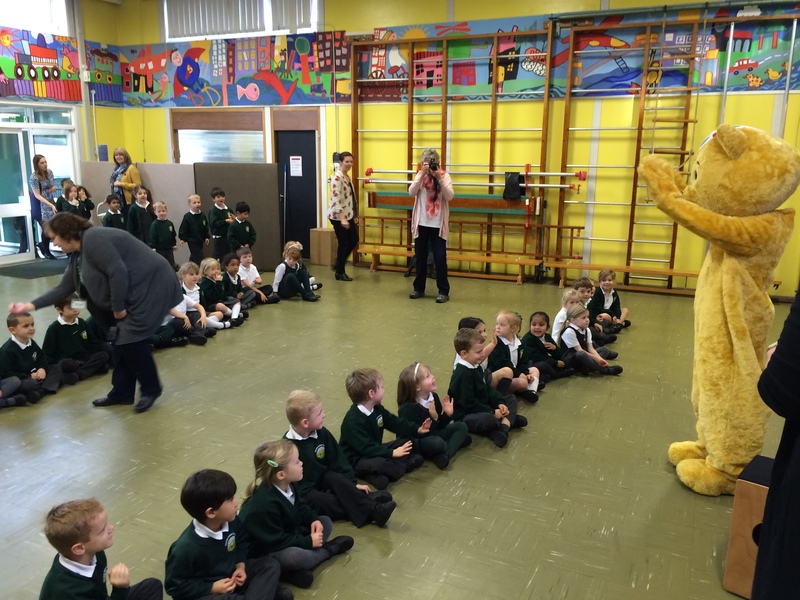 And Jo “Pudsey” Luckman did a terrific job dancing and waving and getting the kids going… I tell you.. she was VERY HOT by the end of the day! !